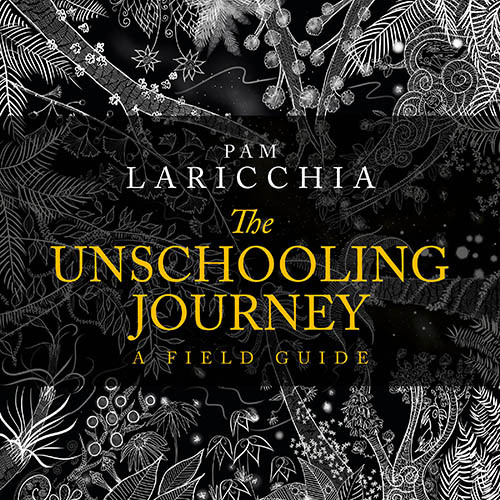 PAM: I was curious about what you might have found some of the more challenging aspects for you on your journey to unschooling? And as they start to realize I don’t do that, then they think it must be really easy. You don’t have to do this or that. I say, “Well, it’s not actually easy either. It’s just a whole different kind of hard thing you might not be thinking about.” And the hardest thing for me was having a dirty house for 15 years! That’s sort of a funny answer but it’s really emblematic of what some people struggle with. They think they can have a life where it’s a schooling kind of life and an unschooling kind of life at the same time. You do have to give up this idea of control and how a house is supposed to look and how a family is supposed to look and how a day is supposed to look. You just have to keep giving up control over that and learning that life is a lot more slap dash, in a way. It’s over here. It’s over there. Actually, the only way it’s going to be fun is if you let go of that idea, of what fun is or what a house is supposed to look like. That’s going to be a way faster way to have fun than it is to try to get your kids to make your house look the way you thought it should look. That’s the kind of stuff that was hard for me. It was reorienting my expectations toward something that is much more focused on my kid’s happiness and less on what other people think or what I think in my more judgemental, less open, moments. 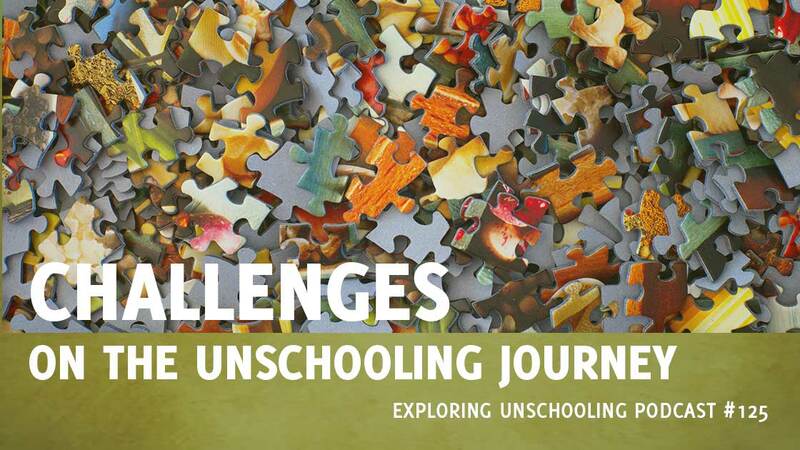 PAM: What has been one of the more challenging aspects of your unschooling journey so far? JENNIFER: I think it’s been figuring out where my own self care fits in. I tend to be an all-or-nothing personality so I figured out early on it was very easy for me to make it all about the kids all the time. A certain amount of that you need to do unschool well but I had to realize that if I burnt myself out that I wasn’t any good to my kids or myself. I had to figure out where I fit in in the whole of unschooling and how I could take care of myself and also be there fully present for the kids. PAM: Yeah that’s a great point. I remember struggling with that too and that’s something that changes with time. The things you find that re-energize you change over time and then also as they grow because when they’re younger obviously and they need more hands-on help, your moments for re-energizing change. I spent a lot of time trying to figure out ways I could do it while I was still with them. For me at the time and it was just having a cup of tea while they were doing things a little more quiet activity or just going out for a walk so they’re looking at their things I’m looking at my things seeing the gardens and that kind of stuff and how that changes over time. But it is an important part because if we don’t put our needs into the mix part of learning how to all live together that’s a really big piece of it. JENNIFER: It is and there seems to be sort of a push by society almost like it’s important for you to get away from your kids. My oldest was still just a baby and people were offering to babysit: “You guys should go out or you should go away for a weekend.” It wasn’t that I wanted to get away from my kids but I wanted to learn how to take time for myself and still be present for my kids. PAM: I can’t remember how many times I was asked, “I’ll look after the kids, you go do this.” But that’s not what I want either. I almost felt like I lost myself. I had to redefine things that made me happy just for me. I had to think, ‘Did I used to have hobbies?’ It was kind of a big growth period trying to remember what I used to do outside of the kids—even things I could do beside the kids, my own hobbies and creative pursuits. It’s been good for the kids to see me doing my own things and getting joy for my own things, a lot of which I can share with them. They can do art with me, they love to bake with me. But yes it was definitely a period of figuring out where I fit in into all that. PAM: That’s a great point. I love when you mentioned sharing that with them because for them to see adults doing things that they like to do continuing learning and everything that really hits home the whole idea of lifelong learning that this isn’t something that they’re learning as kids and we’re doing something else as adults. This is a way of living your life. JENNIFER: Absolutely. About three years ago now I went and got certified to teach yoga and that was a big thing. That was when my daughter was getting older and I was going through my ‘What am I going to do now?’ stage. That was a big thing for them to see me devote time to something that I wanted to do in a way that something else made me happy was my own. The kids did yoga with me, came to a lot of my classes, it was a lot of fun and it’s good for them to see me pursuing my own things. LAINIE: We were about three years into our journey and the biggest challenge that we came across was when Miro turned 13 and his desire to be in community. He fell in love with the lifestyle that we were living. We really decompressed ourselves from the role of consumer and that’s huge, we could talk about that. But answering this question, it was almost a side note. We loved the lifestyle, we loved living minimally, we loved being present, we loved not having any plans and we loved being outside of the United States. There was so much that we connected with from the cultures and communities that we were visiting. On the other hand, we were also feeling isolated and lonely. There was a conflict. He was committed to this minimalist lifestyle and everything that we have built and created together, but he was also feeling this sense of isolation and loneliness. So, we went back to the United States for a conference—an unschooling conference. That was the very first time that we had met other unschoolers, although we had connected with them online as I reached out to learn more about the lifestyle that we started to live. I know I skipped a big chunk of how we realized we were unschoolers and what that meant to our lives but you asked about the challenge. So, what we decided to do was—because we were so passionate about the way we were learning—we decided to bring a group of teens to Peru where we were actually staying and loved learning and living at the time. In fact, we’re back there now, in Cusco, Peru. This place has really become symbolic of our home and our spirit and our deep love of learning. So, we decided to organize a group of teens to bring back where we were learning. At the time we were calling it Project Unschool Peru. It really described the spirit of the feelings and what we’re trying to do. We were passionate about it. It was for unschoolers in Cusco, Peru, our main focus. Four years later, it’s really transformed into something else and we’ve transformed who we are and how we identify our learning styles and in fact we call ourselves world-schoolers now. PAM: That is really cool. How much brainstorming did it take, like to come up with the idea you wanted to keep your traveling lifestyle that you both enjoyed and now that you found this community that Miro really wanted to connect with.What a great idea to bring some of the community to you. LAINIE: Well, I have to tell you it was really about taking care of my child’s needs! That was the main reason. We loved our lives but I had to solve the problem—create an opportunity to solve a problem to create circumstances that would help facilitate solving a problem. Again, as parents, we don’t solve the problem, we just set up the circumstances. I was passionate about finding a way that would answer the problem we’re having together because this was our problem. PAM: What has been one of the more challenging aspects for you on your unschooling journey so far? TERESA: I think I talked a lot about that in some of the other questions, right, because I think that—and this may answer our last question, too, about what’s most valuable—the most challenging and most valuable part of it was recognizing that I needed to change. The goal wasn’t to change the children in my life so that I would be more comfortable. It was to use the discomfort that they generated in me to do my own work. What has been and continues to be most valuable for me personally has been the ways in which that healed me from the experiences that I had in my own childhood. This unschooling journey has been so much more about my journey, but I don’t want to diminish, of course, the impact on the child and the world that we create, but it’s in that belief that we all can be whole. We return to wholeness as adults and we create a space for them to remain whole to the greatest extent possible. We’re all going to experience some pain and some trauma. It’s not about, “You have a happy life that you never experience any of those things.” That’s not what I create for the children in my life, because I don’t control their environment. I don’t control the relationships they have with others, the ways in which someone you love might hurt you in those other relationships they have. It entered into this whole conversation about all the things that I see in him about the resilience that he shows, the ways in which he learns, the ways he perseveres. The things that I see in his day-to-day life that maybe he didn’t see in himself when he hears from others, “How are you going to make it? You’re not even going to get a high school degree.” You know, all that stuff. That has been the most challenging part, is my own work, facing my fears, facing what I hid away. It’s also been the most valuable for me, personally. The relationships that I feel like I have, the ways in which I’ve learned to be humble and reconnect and own and be accountable for my own behaviors, but also come from a place of deep love for myself. Then, that love translates to them. That’s the journey I’m on, and I’m still on it. I’m nowhere near the end of all of that learning journey. PAM: What has been the hardest part of your unschooling journey so far? 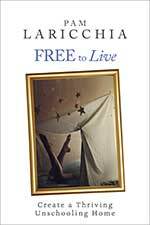 LAUREN: This question I thought was so hard because I feel like we haven’t had a lot of hardships with unschooling. Sometimes life can feel hard, but that’s not because of unschooling. We went from a lifestyle where River was in school for six hours and I was working out of the home for nine hours and then we come back home together at the end of the day and it was like we only had the worst of ourselves to give to each other. We were both grumpy and exhausted. So going from that to a lifestyle where he is home so much more and I am home so much more and we are together so much more and there is no pressure to do stuff he doesn’t want to do and I’m working at a job that I love and we are both really fulfilled and happy. I feel like it’s only made everything better and easier and more wonderful. I think sometimes parenting can feel really hard, and living as a member of a family can feel hard, but unschooling actually makes all of it easier and better. So I didn’t have a good answer. PAM: No, that’s a great answer! It’s great to hear your perspective. LAUREN: It hasn’t been hard. It’s been awesome! 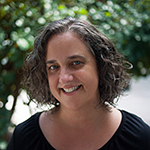 PAM: What has been the most challenging aspect of moving to unschooling for you? JAMIE: For me personally, I do not know that I really have answer to that. Within our family context, I know that there has been a lot more for Monica. When I first started learning more about unschooling and I started sharing it with my mom, she said wow I wish I had this information. I probably would have done this with you guys back in the early 80’s. Whereas when we started talking about even the idea of homeschooling with her mom, they thought we were crazy. They come from a very traditional background. Actually it’s interesting there’s another layer of context. My wife’s parents are both Chinese background, lived in different countries in Southeast Asia and then came here for one year of high school and then university, been settled here ever since. They also came from very large families. So in their situation, it was a privilege for your parents to be able to pay for you to go to school and not all of your siblings necessarily got that chance. With the fact that we have a free system here that worldwide is pretty good and for us to opt out of that but still pay for it through taxes sounds completely crazy. And then of course it also means that we are going to need to spend a lot more time, so we can’t work, so there would be a lot less money so the practical aspect of it to them sounded nuts. Then her mom was actually very, very worried that we were going to stunt their intellectual development, that we were going to stunt their social development all these different issues that she had. The toughest time for us was every September, especially when Rex was first entering into junior kindergarten—Alex and his cousin Rex are the same year, school-wise—that was a really stressful point for Monica. There was a lot of back-and-forth. They are also not big readers of stuff in English. Obviously they are capable of it, they went to university here, but that is just not their preferred learning style. It’s not like we could send them articles to get them comfortable or that sort of thing. So it was just a lot of uncomfortable conversations, a lot of avoiding it, maybe spending a little less time with them through some of those times. But then it’s been proving that just through life for them. A couple of weeks ago—we see them pretty much once a week with the cousins—Rex was sitting with his dad at one end of the table and he is actually at a “Montessori” private school but I am putting quotes around Montessori there because I know how the Montessori method works and him having a lot of homework for grade two, he’s basically doing homework every day, does not have any bearing on the Montessori method at all. I see that happening a lot because parents are paying so much for it, for private school, that they want a lot more of the private school features and sort of the markers for private school success and the “Montessori” just ended up saying that we are doing this a little differently, but not that differently really. They were doing some homework and his dad was basically yelling at him to stay there and keep doing this homework on Saturday afternoon, for symmetry or something like that, some topic that could be interesting and simple, but when it’s broken into a worksheet, he was having a horrible time. Everyone was embarrassed. Meanwhile Alex sat down at the other end of the table and was doing a project writing out something for himself that he had come up with and was just happily working away writing a ton of stuff in his notebook. I do not even remember what it was about. So then the grandparents were freaked out by this, sort of shying away from what had been happening at one end of the table. But then they were asking Alex, “what are you doing? what are you working on?” Alex got irritated that they were intruding into his work. It could not have been more different. To the point where he actually left the table, came to me, kind of upset saying, “you know what, I am trying to work on my stuff but everywhere I move, you know my grandma was bugging me here then my grandpa was bugging me there, my aunt was bugging me there, I do not even feel like working anymore.” On one side you need this intense pressure to get anything done and on the other side the intrusion was messing it up. Losing an opportunity for it, because to them, they were just trying to understand and trying to see the value in it. Where obviously he does, so just let him do it. PAM: That is a cool story. Yes. When you are paying attention to that, you do see it all over the place do not you? JAMIE: Absolutely. Well I guess the other part to that too is good because we have hit a bunch of major milestones, that is what really got Monica completely comfortable with things too. She was feeling still a lot of anxiety about some of these different things. Is this going to be enough for them? Are they going to be able to do this? She was the primary, we were both around them a lot but she was the primary one focusing on that at that point. She has to build her confidence more, so reading was very helpful for her and connecting with some other parents. But as we saw, once Alex started to read on his own. I had complete confidence in it because I had learned before I went to Montessori. So I knew that was completely possible and I had read so much about the theory of it and how they do it in Finland. If you provide access and stuff that they are interested in and read it to them as much as they want, eventually at their pace, which could be when they are three and it could be when they are nine or ten or whenever, it is going to happen. So again that overconfidence that is where I am coming from helped me a lot. We saw first Alex started to read some letters and then the odd word and then short sentences in a context where he’s interested. Actually we saw a ton of that through tablet games that he was playing where the functional reading of getting the response to figure out what was going on in this screen, in Plants vs. Zombies2 and you know and just going a little bit further from that. Seeing that picture and knowing that means this. He put a lot stuff together through that. That is where a lot of his good learning on the reading side was happening. Even more so. It is neat nowadays that they have got at the library every single kind of toy or video game or movie that kids would possibly be interested in, they have the little tie-in readers. That is been great I think, especially for boys. They have all these Legos things or all these Star Wars things or whatever available like that. Seeing him come through those phases to reading. Like you hear in so many of the stories, it was not far for him being able to read a few sentences on the page that I am reading with him but then saying you know what, that is enough for me you can read the rest of it now, to now he’s sitting down with these Basher books and reading a chapter or two at a time about these more advanced science topics and getting everything. That is really empowering, obviously for him most of all but that is the validation that really helps parents, same thing with swimming. I had a really negative experience with swimming lessons as a kid. Whereas Monica went all the way through the swimming system to getting some of the higher swimming levels or whatever you call that, I do not really know how that works. I would take them swimming every week up here and then go up to my parent’s timeshare in the summer, where they would have access to the pool for the whole week. We would go once or sometimes twice a day. I saw little by little, not this year but I think last year, towards the end of the week he said, you know what let me try this a little bit without the water-wings. So he had gotten comfortable enough with the water himself and then over the course of that last day or two, swimming just fine functionally. Then soon he was getting back and forth across the pool. Now he is totally comfortable with swimming. Just two completely different things to follow on from the other stuff you learn without having to be schooled in it, like walking and talking and everything else that happens in your life. Just seeing a couple of those extensions that people are fixated on teaching being required. Obviously you know that it isn’t. That has been really cool. Those are the two big ones. Now we are seeing where Duncan is at. Again, not comparing the two of them, just saying we are very curious where along the path that both of those things will happen for him. 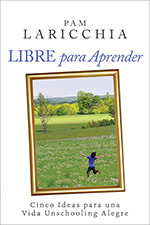 PAM: I think that is one of the reasons when people first come to unschooling and they are trying it out, a lot of us and I do this, we all talk about giving it that time, six months to a year. Try it out for a long enough period that you can see these developments. I find it’s easier to develop that trust in unschooling when you give it enough time that you can look back and see something develop, like whether it is swimming, whether it is reading, whether it is whatever. Whatever their interest is, they are going to learn in those large chunks of time. So if you’re giving them that space and all the support and hanging out with them—I am going to try this for a year and see how this goes—when you got that bit longer period of time, you’re going to see some awesome things happen. It is just, you know, being able to take that time at first when you’re not quite sure what is going to happen. JAMIE: Yes, and there is the other side of that too. We were just really lucky that we found the concept of unschooling on the website when Alex was maybe one-year-old. We were able to spend the next two, three years before he would have been at regular school age to work on our own deschooling, read a lot of this stuff and think about how that applied to just the way he was learning where nobody would be expecting school to be involved. And just get really comfortable with those concepts. Not only is it the more school that you do, the more time you are going to have to work on that. Both sides right, if your kids do go to school there is going to be even more time you’re going to have to wait to really be able to see that yourself and to give them the space and comfort level that they are going to be able to do that. We are really lucky you know, if everyone that was ever going to be interested in this, would look at it when their kids are born that would be great. Obviously that usually does not happen because that would only usually happen if you come across some other friends of yours who were already doing that. Otherwise you are going to have some experience with school along the way first. 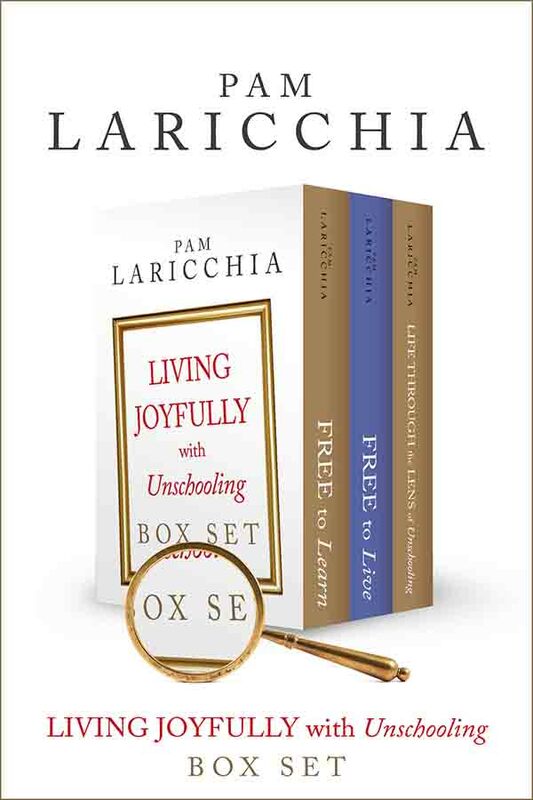 PAM: I was wondering what has been the most challenging aspect of moving to unschooing for you? DAN: Well, initially, I felt really insecure about being a man that takes on traditionally, in our society of late, female roles. And I was raised a redneck kid in Ohio—singing, dancing was not something boys did and I still can’t carry a tone if I try to sing. And I feel personally robbed from that. But I still carry a lot of that baggage, so, initially walking into the grocery store with a kid in the grocery cart, a kid in the Snugli, people looking at you—it seemed to me that when I started doing it there weren’t a lot of other dads around doing it. And I would see people look at me and sometimes they’d have concerned looks on their faces and you’d feel like they’re judging you, but I quickly realised that a lot of those people were just … they were actually trying to be supportive. And they would say things like “Oh, you’ve got your hands full!” or “Great job,” and it’s like when they start talking to you instead of just looking at you, you start realizing, ‘Wow, they think it’s great,’ they’re admiring you. And after a while, I find the older I get the less I care about what other people think. You get more confidence in all your actions and stuff like that. So that was an early challenge, worrying about stuff like that. PAM: So, what has been the hardest part of your unschooling journey so far? JENNIE: The internal work I had to do has definitely been the hardest part of my journey. And then finding a balance. Because I feel like I teeter-tottered for a while, like on a roller coaster going back and forth between two extremes. Like giving more than I could to my kids and feeling justified in taking it back. And I always felt like I had to be doing it right and if I made a mistake, if I got angry or frustrated, I’d get discouraged. I’d feel like I was messing everything up, it was like a vicious cycle. And for a little while it was like that until I found some stable ground. I find that I do still teeter-totter but it’s not as high points and they’re not as low. It’s sort of like—it’s not as mountainous, I guess—as it would have been, if I can describe it that way. But that’s what it feels like now, it feels like I’m finding a bit more of a balance, like we’re in a bit more of a groove. And I’m not going to lie, it really helps that they’re getting older. Because reasoning with my eight-year-old is so much easier than reasoning with my two-year-old. And that is just common sense. It’s funny because, I’ll often talk to people and I think people just forget the toddler years, like people forget childbirth pain. You know, you forget how hard it is to give birth until you’re in the moment again and then you forget how painful it was. And that’s how the toddler years are. It can be really gruesome sometimes trying to just reason with a two-year-old. And you want to respect them, but it can be challenging. It definitely helps that as they’re starting to get older, they’re open to more reasoning, especially my eight-year-old. It’s amazing how much she’s grown in the last three years through being radically unschooled. Oh my gosh, it’s incredible. My mom, sometimes she’ll say—well, she watched them for a day recently and she’ll say— “Madison should be in school, she should be reading, she didn’t pick a wrapper up off the floor…” And I said to her, “Really? Well, she cleaned out my entire fridge yesterday.” She’s just one of those kids. She said, “Mom, I think we should clean out the fridge today!” She literally took everything out of the fridge, wiped the entire thing down and put everything back. And I was like, “Okay, sure, I’ll help you.” But she didn’t pick the wrapper up off the floor. It’s funny, watching things like this and paying attention to them. It’s just gasoline to me, it adds fuel to my passion for unschooling. It definitely helps as they’re getting older. And then a funny thing happened too, because as I began to radically accept them—I love that term, by the way, radically accepting your children—I also started to radically accept myself and my partner. I was able to be more gentle with myself too, and then when things did happen, I would be kinder to myself about them, almost. I didn’t have to follow through on continuing to be grumpy; I had the tools I needed in order to be kind to myself and realize. ‘What is it about what I’m feeling right now? What might have happened? Do I need to go and take a walk?’ Maybe I didn’t have my cup of coffee this morning. Maybe I need to eat something. There’s got to be a reason why I’m feeling this way, I’m not a mean person. I’m not usually grumpy. So, I began to radically accept myself and my faults. And my husband’s too, so I wasn’t so hard on him. And that really helped us too. 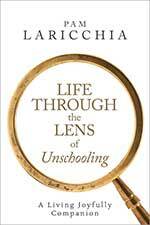 PAM: What did you find to be the most challenging aspect of unschooling? PAM: I was wondering what’s been the hardest part of your unschooling journey so far, do you think? HEATHER: Well, the deschooling process was very interesting to me. And obviously in a lot of ways we’re still deschooling and still working through that. And I felt like Gavin was going to require a lot of deschooling, because I felt like emotionally he had gone through the most. School was exhausting for him because he didn’t enjoy it, he wasn’t engaged in it, and the way that his teachers had talked to him and communicated with him. I felt like he was going to require a long time to just hang out and chill and kind of like emotionally recover from that whole experience. But what I found was, I think literally like the first day he wasn’t in school, he just took off. Like he just required very little deschooling. He just jumped off into what he was already so interested in. And it was just kind of like you told that kid, “You’re not going to school anymore,” and he’s like, “Awesome!” And he was just off to the races, just learning a lot. I mean he did have some things that we kind of had to talk through and work through, but really his deschooling process was much less. And it’s really my 13-year-old who really needed a long period of deschooling. She had really embraced school. She was good at jumping through all the hoops. She was more like me; much more conventional thinker. I just didn’t anticipate—I guess I thought of deschooling more from an emotional standpoint. And she’s really just coming out of kind of an active deschooling process. She kind of struggled in the beginning with wanting to learn subjects. To me, I would think, “You’ll be so excited, we don’t have to do that anymore.” But for her that was kind of confusing. And it just took a long time for her to understand that whatever she’s interested in is as important as any of those school subject. So, it took her a long time to embrace it and to really start to trust herself. Like, she loves making slime, and I think she didn’t hold a value to that. To her, that’s just something she’s doing; it’s just a fun thing. She didn’t realize that’s as valuable as anything else. If that’s important to you, then that’s great. Keep working on that. And she’s had a lot of learning that she’s gotten through things like that. But it just took her a long time to really trust herself. Because I think when you buy into school, someone’s constantly telling you, “You’re supposed to learn this, and you’re supposed to learn this.” And she really just embraced that. So, it took her a really long time to kind of understand that I’m not going to bring her a list of things she’s supposed to know. She’s not in school, so they’re not going to give her a list. And it’s really up to her to figure out what’s important to her, and what she values. And that just took a really long time. I think it was hard for her too because her older brother has such a specific interest, and hers are kind of more general. Which is totally age-appropriate for her. I kept telling her, “You don’t have to figure out your life’s path.” (laughs) But that just took a while. And even just a few months ago she was I think kind of feeling a little confused, or wasn’t sure where to put her energy. So, we were just having a heart-to-heart about that. Just trying to talk through that. And I just said, “What do you really want to do?” And the first thing she said was, “Travel.” And then she said, “But I know I can’t do that.” And I said, “Well, why can’t you travel?” It’s like, “Well I don’t know, can I travel?” And I said, “Absolutely!” And so, I just saw this light go on in her eyes. So, she started researching different trips and different cities that she would be interested in going to. We put her in charge of a budget, so she’s budgeting all these things. I could just see everything started to click in that moment. I think she was limiting herself in what she thought that she could do. My sister actually lives in New York City, so she pretty quickly realized that, based on her budgeting, if she could stay in someone’s home, it would make for a much more affordable trip. So, she decided that she wanted to go to New York City and stay with my sister. Actually, in just two or three weeks, she is going to be traveling to New York City, and will be staying with my sister for five weeks for a really in-depth trip to New York City. She has just been reading books about the history of New York, and she helped book all her flights, and she’s in charge of her budget. And, actually, she wanted to earn some spending money, so she’s become a mother’s helper for some homeschooling moms in our area, and she’s been taking care of kids, and doing that all on her own. And she’s raised all of her spending money. Seeing her dive into this has just been awesome. But it just took it took a while to get there. But now as a 13-year-old she gets to go to New York City for five weeks during the year and see what it’s like to live there. We got her a subway map, so she’s been studying the subway map. She’ll get to be with someone who lives there and gets to show her the ins and outs of the city. So that’s just been an amazing opportunity for her. But definitely, that deschooling process just takes a while. So, I would just encourage anyone who’s new into it, to just really embrace the deschooling process. I mean it’s your really first opportunity to just let go of the control or expectations. PAM: So now that you’ve found homeschooling and you started stepping closer and closer to unschooling, as you were going through that kind of deschooling process, I was curious to know what you found to be kind of like the most challenging paradigm shift on that journey? RACHEL: The deschooling process with pretty intense for me. My husband and both have graduate degrees and school, in the way that I was raised, was very much tied to—it’s like validation, and it’s your value and your self worth. So, it was definitely a big process for me to get out from under all that baggage of control and power and competition, and trust was really the biggest piece for me, for sure. When I gave birth to my first child, it took me a minute to shake out from under all of that baggage, and surrender fully to trusting my child and myself. And I found it was the same with unschooling—where that was kind of the last piece that clicked into place for me. And I knew in my mind—you know, in my rational, cognitive center—I knew that trust was the way to go, and trust is like that intention that I held in all of my parenting and always talk about it and how important it was. And having that click in in the schooling area, in the education realm, was the last piece to like fully, 100%, through and through, click in place. PAM: I love that. Because, just thinking back to my journey as well, and yeah, that seems to be that last piece. It’s the biggest piece—it’s kind of the hump when you can almost relax. It’s like the deep breath that you didn’t even know you were holding, right? RACHEL: Oh my gosh, yeah. And when that 100% of the trust finally clicked, all the way even to the back corners of my mind, that’s when everything really started to soar and feel amazing and be wonderful. Like, I had to let go of those last societal expectations and pressures and just let those last ones go and then to be fully into trust with my kids, and then that’s when things really started to blossom. PAM: Yeah. That’s beautiful and it’s so true. That’s the same experience that I’ve had, and you can’t really anticipate what it’s really going to be like at that point. It’s just, WOW, everything is brighter and more full. And I don’t like to leave the mistaken impression that at that point it’s easy all of the sudden. I mean, life is still life. But that trust helps you sink into each of those moments, doesn’t it? So, you can totally be there with them and process things, and it quiets all those questions that were usually flowing in the back of your mind, doesn’t it? If you are filling in all that space for them then there is no room for them to fill it in for themselves. If you are occupying all of their time, and telling them what things they are to focus on, then there is no room for them to grow into that space! You both can’t occupy it simultaneously. Once you have fully surrendered to the trust, there’s all of this space for them to blossom and to fill in and to grow into and take hold of, and then there’s just so much magic that comes from that. PAM: I love that image. That is such a beautiful way to describe it! I just hadn’t thought of it that way. Because, once you are fully trusting, you are able to really let them be. That idea of space, for them to really let them be themselves, I love that. RACHEL: And it’s not distant! It’s just holding space. Like, you’re right there with them, but you are holding the space for them to grow and fill in. 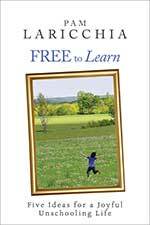 PAM: So then, what for you was the most challenging aspect of moving to unschooling? PAM: Now that you’ve chosen this path and they didn’t go back to school after Christmas, what did you find to be one of the bigger challenges as you were deschooling? KELLY: I’ve thought so much about this question this week and how I wanted to talk about it because, despite the fact that it feels like it was this very natural thing for us, you know, there weren’t big problems, it has been really challenging for different reasons. So it’s been fun sorting through those threads. I can’t just say there has been this one thing that has been challenging the whole time. In the early years, it was all the superficial things, and I think them to be superficial now, like screens, food and sleep. They were just these topics. I know a lot people say they started attachment parenting and that led them into unschooling because it seems like this seamless transition, but actually, for me, something that was wound up in attachment parenting which we did do—we co-slept, we breastfeed on demand, we did all that stuff—was the way that it was married to a kind of natural parenting that has a fair amount of control in its point-of-view. For example: “Yes, you’re going to feed your kid when they are hungry but it’s only going to be the foods that you choose, and it’s going to be natural, organic, no sugar.” You know, all that stuff. Which, I’ve always been into natural food and healthy living my whole life, so I think a lot of it’s me in what I gravitated to. Also, the no screens and the Waldorf and the wooden toys, and so, a lot of that I had really absorbed quite deeply and so peeling that apart was a big challenge. That’s what it has morphed into. I think that’s how I feel about unschooling now. 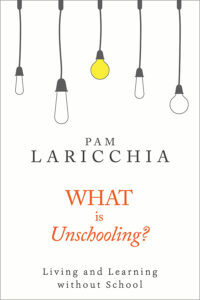 I’ve heard you [Pam] say this over and over, when there are problems, “It’s not the unschooling.” I feel that now. The things that challenge me are never the unschooling. It’s really because I’m super attached to something—being someway or some idea I had about it. The idea I had about what it meant for my son to want to play video games all the time or what it meant when my daughter really did want to be taking classes and keep one foot in the structured learning world when I really wanted to be full-scale unschooling. The thing that makes it easier is when I take all of the things that I learned from listening to your podcast and the things that I read which is: giving space, seeing what’s really needed, not trying to rush in and control it, and trusting. That stuff is never about the thing, it’s always about how you approach it. 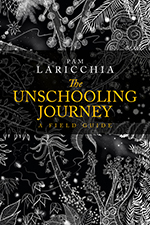 PAM: I was wondering, what did you end up finding to be the most challenging aspect of moving to unschooling? JAN: I think at the beginning it is that fear. That kind of, nobody else is doing this, am I just lazy or stupid, am I letting them down, am I going to miss some essential skill or fact that they need in life by kind of just, you know, winging it and doing it on the hoof. But I think over time you begin to realize that whatever model of education you’re using, something is going to get missed out, it doesn’t matter how academic or rigorous it is, nobody can cover every topic known to humanity. So, you begin to relax and kind of think, actually let’s just develop skills and let’s just develop a love of learning, and let’s just provide a rich environment with conversation and films and nature and books and art materials, and you know, whatever it is, and just take that pressure off ticking the box. I think once we were over that initial thing, the biggest challenge probably became just keeping up with them. Because four children with all of that enthusiasm, it’s just kind of like, can I just kind of run and keep running and keep running with this! And also the parents have to find various ways of making a living and holding body and soul together. So just that sheer struggling aspect. But again, all parents have that. There isn’t really an easy form of parenting. It’s just the choices that we make and I thought this was a good choice. But yeah, getting over the fear and not getting overwhelmed I think are the biggest challenges. PAM: I really love that. And it comes to what you were saying. All parents have this. Unschooling challenges just are really life challenges, aren’t they? Just living together. JAN: Yeah. I can remember one day somebody saying to me after I’d spent a long time with one of my children negotiating a decision that they needed to make and they said, “Well, why did you spend all that time? You could have just solved that in five minutes and told them this is what you’re going to do, get on with it.” And I said, “Well, when you do that with your children, what happens?” “Well, they might have a tantrum, they might…” So, you pour your emotional energy into an hour of a child being hurt and upset and feeling dismissed and you think that it’s a bad idea for me to pour my energy into an hour of everybody winning. It’s like, you’re going to use the energy, why not use it creatively instead of destructively? All parenting takes a lot of energy and I think if you agree with your children together to use that well, I think the benefits are fantastic.